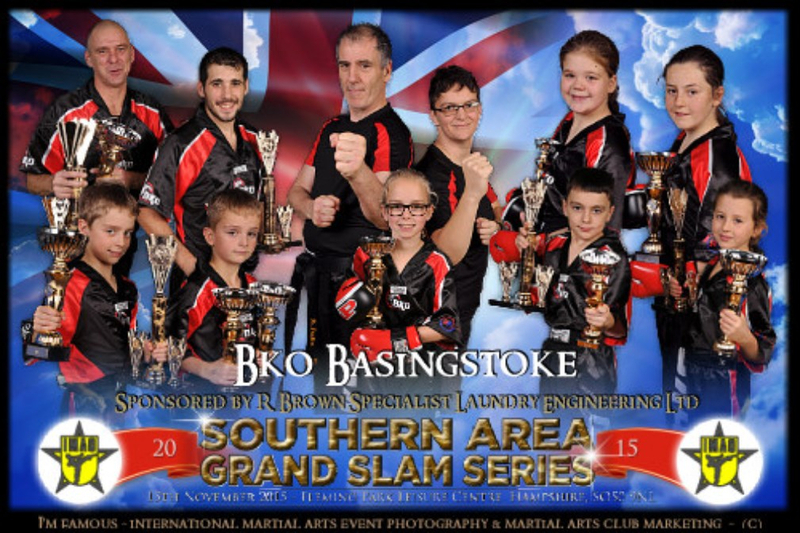 R Brown SLE Ltd are proud supporters of the Basingstoke Kickboxing Club. BKO run a six week adult introductory kickboxing course for complete beginners. All those people who have wanted to give it a go but haven't plucked up courage to walk through the door for the first time. People of the same ability, starting at the same time. So your all in the same boat. At the end of the six weeks we'll undertake a red belt grading and you should have enough confidence to join one of the mixed ability pay as you go classes we run. The course is limited to a maximum of 16 participants and once the course has started no new participants will be allowed. The course is held on Saturday at 12:30pm until 13:30pm and run every Saturday for 6 weeks. The cost of the course is £35 which includes all 6 sessions, your first grading and free entry to your first class out of any of the mixed ability classes we run. Part of the deal is you will need to pay for the course in advance, meaning that you commit to give it a proper go and we will limit the numbers and not allow any others to join the course once its started. Age, shape, size and fitness level are not a barrier to starting, all we need you to do is to work hard, interested? sign-up for the next course. R Brown SLE Ltd are proud supporters of Naomi House & Jack's Place. Please donate using the link at the top of the page, every donation is greatly appreciated.